Ανοίγω αυτό το θέμα, για να βάλει ο καθένας τα album τα οποία θεωρεί πως έχουν κορυφαία ποιότητα ήχου. Καλό θα ήταν να δίνονται και κάποιες επιπλέον πληροφορίες όπως τη δισκογραφική, χρονιά κυκλοφορίας, μέσο (cd-βινύλιο) etc. Eξαιρετική ηχογράφηση αλλά και αρκετά καλό μουσικό περιεχόμενο συμπεριλαμβανομένου του γνωστού μας Temptation της εξαιρετικής καναδέζας. Καταπληκτικός ήχος. Το κάθε όργανο νομίζεις ότι είναι μέσα στο δωμάτιο. 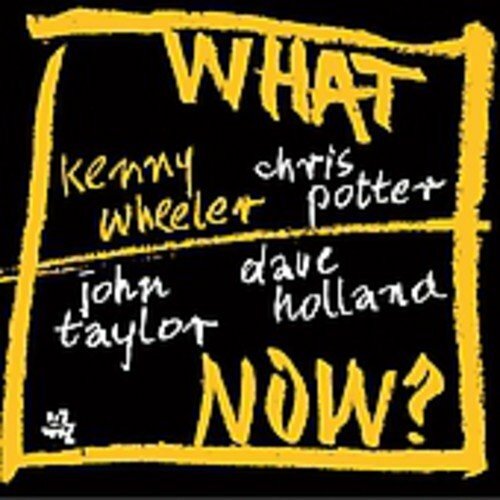 Personnel: Kenny Wheeler (flugelhorn); Kenny Wheeler; Chris Potter (tenor saxophone); Dave Holland (double bass); John Taylor (piano). "WHAT NOW? requires one's undivided attention. There are so many stops and starts, solos and melodic turns of phrase, to hear it otherwise is to miss the subtle beauty of Wheeler's compositions." JazzTimes (p.129) - "Wheeler's writing contains some graceful harmonic tricks that the band devours..."
ok Nikkan..kai afto pou les einai even better idea!!! εγω απεργώ μέχρι να βάλει νέο avatar o Μιχαλης !!!! Μια ηχογράφηση που δεν θα πιστεύεται πόσο καλά παίζει το σύστημά σας, βασικά δεν θα το έχετε ξανά ακούσει να παίζει έτσι! Παρεμπιπτόντως έχει και πολύ καλό μουσικό περιεχόμενο! This is the same piano trio that came to fame on several of the Japanese Three Blind Mice LPs and CDs and more recently on the F.I.M. disc they recorded titled “Autumn in Seattle.” F.I.M. recorded this session in Japan, using three different formats: 15ips 1/4-inch Studer open reel analog tape; ProTools 192K/24-bit digital; and the 352.8K/24-bit DXD mastering used for this bit-mapped Red Book CD release on a silver disc. There are plans to eventually release a vinyl LP made from the analog tape, and there are also two further-tweaked versions of this disc available: a Collector’s Edition UDC and a Direct-from-Master Edition UDM, both pressed on 24K gold. It really is a wonderful trio, with good variety in the nine tracks and some virtuoso playing from Yamamoto. Four of the tracks are his originals; one of them - Obsession - starts off with a quote of the familiar Paganini theme heard in some Rachmaninoff works and many others. Some of the tracks, such as a Slow Blues and Autumn Leaves, run nearly ten minutes, allowing for leisurely development and improvisation. Yamamoto seems to favor the very highest reaches of the treble keyboard with great gusto, almost like an effort to show off the highly extended frequency response of this digital recording approach. Though it is very clean and transparent, I found I was less impressed by the fidelity of this DXD release than I was by the latest enhancement of Jazz at the Pawnshop (just reviewed). I compared it to some stereo-only piano trios on both SACD and xrcd. I found the Ray Brown Trio’s Soular Energy on Groove Note to be very similar sonically (using the SACD layer, not the CD layer), although the Ray Bryant Trio on a JVC xrcd sounded more opaque and rolled off in the very highest treble. I was surprised to find that when I fed the F.I.M. signal thru my Benchmark DAC1 the result was actually slightly inferior to playing it straight from the analog output of my Oppo player. Perhaps down sampling the original 352.8K to 44.1K and then upsampling yet again to 110K didn’t agree with the signal. This disc retails for $35 in the basic DXD version. TrackList: Another Holiday, Stardust, Happy Soccer Striker, Smoke Gets In Your Eyes, Autumn Leaves, Sunflower (solo), Slow Blues, Obsession, Dark Eyes.